"Practical Education, Flexible Career, Rewarding Life"
Meet Mr. Dave Jones, California’s elected insurance commissioner. “Elected” is important in that opening sentence because that inherently makes the regulation of insurance in California a political activity. As is typical in current California electoral politics, Mr. Jones is from the left side of the political spectrum, and seems particularly sympathetic to the green lobby. Witness his concern over insurance company investment portfolios that dare to include any companies that derive 30% or more of their revenues from fossil fuels. Mr. Jones has made waves in recent months by asking that insurers doing business in California provide an annual accounting of their fossil fuel investments. Although he has graciously stated that divestiture in such assets is voluntary, he warned that insurers who do not divest themselves of fossil fuel firms will be publicly identified and subject to examinations due to the concern that such assets might damage the insurer’s financial health. Giving Mr. Jones the benefit of the doubt, it’s possible that he is simply reading the not-so-subtle tea leaves of political statements such as Hillary Clinton’s admonition that “we’re going to put a lot of coal miners and coal companies out of business.” If that political ambition has a genuine chance of being realized, then yes, there is a concern that such investments on an insurer’s balance sheet could impede their long-term claim-paying ability. But this smacks of a chicken-and-egg conundrum… is Mr. Jones acting as a prudent regulator of insurance companies, or is he currying political favor with his fellow leftists to propel his own political ambitions and to eventually lead to the realization of a crumbling fossil fuel industry? The cynic in me leans toward the latter. There is another effect of this action that concerns me. California does tend to be out in front of (and often alone) the rest of the country on many left-leaning political initiatives. Many of the insurers doing business in California also do business in other states. If the California Insurance Commissioner takes it upon himself to manage the individual investments in an insurer’s portfolio to advance a political agenda that is not directly related to the business of insurance, is that not usurping authority from the other 49 insurance commissioners? What’s a national or regional insurer to do if all 50 state insurance commissioners begin picking favored and dis-favored industries for their regulated insurers to hold in their investment portfolios? Couldn’t the Michigan insurance commissioner take a similar approach toward Silicon Valley tech companies since there has been talk of another tech bubble inflating? We all like to assume that our elected public officials truly have the best interests of their constituents at heart when they exercise the authority of their office. Unfortunately, I think we’ve witnessed increasing evidence that many such actions taken in the last 10-20 years have been politically motivated and self-serving. My instinct tells me that this is the case here with California’s chief insurance regulator using his authority to sink fossil fuel investments deep into Davy Jones’ Locker – not for the good of insurance companies or customers, but for the advancement of his own political agenda and ambitions. This entry was posted in elections, government, Insurance, politics and tagged California, Dave Jones, fossil fuels, insurance, investments, politics on July 8, 2016 by drdavidallenbrown. Besides being a fun word to say, “Brexit” has suddenly become a historical term that will now appear in history books for years to come. Not more than 24 hours ago, as the votes were being cast in the United Kingdom, the clever term seemed to be headed for the dustbin of over-hyped media-coined phrases. The conventional wisdom was that the UK would remain part of the European Union, and “Brexit” would be forgotten much like “Grexit” was cast aside last year. The U.S. stock market certainly priced that expectation into the 230-point Dow Jones Industrial Average rise on June 23. The surprising victory for the “leave the EU” faction caused worldwide financial markets some whiplash, with the Dow falling 610 points on June 24. And just like that… Bam! The “Brexit” star is born. Financial markets abhor uncertainty, and the now imminent departure of the UK from the EU will not be quite so imminent as there is a two-year process ahead for negotiating the terms of disentangling the UK from the EU. That means two years of uncertainty, and probably a few more surprises and unintended consequences. Welcome to the Brexit-induced damper on all things financial and two-year Chinese water torture of volatility. The Federal Reserve, along with the rest of the world’s central bankers are going to be doing an awful lot of re-thinking in the months ahead. I could be wrong (as I was about the Brexit-outcome) but I wouldn’t count on seeing anything that resembles a “normal” interest rate environment in the next two years. Heck, we might not even see another 25 basis point increase in U.S. interest rates for that long. Now, what about the effects on risk management and insurance? [I know, I know, you wondered where I was going with this Brexit rambling.] Well there’s great speculation today about the future of London as an international insurance hub. Not that it will cease to be an insurance hub, but more about what frictions and complications may be introduced by the need to re-structure firms, obtain new licensing, and yes, perhaps re-locating some resources, once the UK is no longer a part of the EU’s shared economic and regulatory framework. Will Brexit impede London insurance firms’ access to the EU markets? What about EU insurance firms serving the UK market? All fair questions, and all will need to be sorted out over the next few years. I realize it’s not the same, but I think it might be useful to think of Brexit in terms of the potential economic considerations that would arise if Michigan were to suddenly secede from the United States (Miexit?) and left us all to figure out how to transact business with Indiana and Ohio. It could kill the export market for Mackinac Island fudge! Oh the inhumanity that could be wrought. More broadly, put your risk management hat on and think about the enterprise risk management dimensions of Brexit. Isn’t this one of those unique sorts of risks that ERM was intended to address? 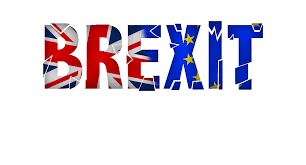 The political and economic risks associated with Brexit clearly fall into the strategic risk quadrant that traditional risk management relegated to the C-Suite, but ERM’s Chief Risk Officers are supposed to be ready for such vast strategic risks. So how are CRO’s with operations in the UK and/or the EU reacting today – particularly since most of the world was shrugging off Brexit as a soon-to-be non-event just yesterday? Add Brexit to your list of worries, concerns, and market volatility triggers to monitor for the next few years. Oh, and one more piece of advice. Don’t check your 401(k) balance today. In fact, it’s probably best you just keep that long-term investor perspective and leave those statements unopened until, say, 2020. This entry was posted in government, Insurance, politics, Risk Management and tagged Brexit on June 24, 2016 by drdavidallenbrown. It has been a big week for political news. We had the election of a new Speaker of the House in Rep. Paul Ryan. We had a Republican presidential candidate debate that was allegedly tainted by media bias. We had a two-year federal budget deal that presumably takes debt-ceiling crises and government shutdowns off the table until 2017. But there’s something within the budget deal that has received relatively little attention. Lurking in this budget deal is a $3 billion cutback (over ten years) in the federal subsidies for crop insurance. Naturally, this cut (which reportedly came as a complete surprise) has midwestern legislators up in arms, characterizing the cut as “devastating” to the crop insurance industry. I am the son of a farmer, and I fully understand the nature of the economic risk that farmers and ranchers face. Droughts and storms have wreaked havoc on farmers in recent years. The federal crop insurance subsidies support the availability and affordability of crop insurance. When I do the math, a $3 billion cut over ten years is a reduction of $300 million per year, for a program costing north of $9 billion per year, which is roughly a 3% cut. Devastating? Really? Opponents argue that farmers have already endured a $12 billion cut in the crop insurance program since 2008, and a further erosion of federal crop subsidies in last year’s farm bill. There is also the argument that this could have a long-term negative effect on the viability of the U.S. agricultural economy and our affordable food supply. Farmers in some parts of the U.S. have been challenged with extreme droughts and I’m sure that crop insurance cutbacks must feel like yet another whack to the head for them. As sympathetic as I am to the agricultural business, my personal skepticism about government intervention in any market causes me to wonder if it isn’t a long overdue weaning of the industry off of government supports. I remember my father declining to participate in subsidy programs in the 1970s and 1980s that could have paid him handsomely but he felt they were “government nonsense” that served no practical purpose other than subjecting him to a myriad of government rules and bureaucracy. These latest crop insurance cuts hardly strike me as “devastating” although perhaps the cumulative effect with previous cuts may appear to be devastating. Then again, government economic interventions tend to be highly distorting over time and so perhaps it is time to “devastate” this free market distortion and allow the free market to work as it should once again. This entry was posted in government, Insurance, legislation, politics, Uncategorized and tagged crop insurance on October 30, 2015 by drdavidallenbrown. It’s been a bad week for the EPA. And an even worse week if you’re a fish or other wildlife living in or near the Animas River of southwestern Colorado. A mine cleanup project being conducted at the direction and under the control of the EPA resulted in a massive breach that caused millions of gallons of toxic crud to spill into the Animas River. Some perspective on the staggering impact of this “oops” can be found here. But don’t worry folks, EPA chief Gina McCarthy says she’s sorry. Now let me think… how did an expression of remorse from BP’s ex-CEO Tony Hayward work out after the 2010 Deepwater Horizon oil spill? The double standard that exists when it comes to mistakes made by private enterprise compared to those made by government is staggering. I actually caught some video of the Democratic governor of Colorado, his own state being damaged by the EPA’s incompetence, expressing unbelievable forbearance explaining that this was a “human event” and that humans are not perfect. The Governor also made some reference to differences between environmental damage caused by profit-seeking ventures and those from well-intentioned clean-up efforts. Huh? Tell that to the fish, wildlife, residents, and business owners along the Animas River. I don’t think they care who pulled the plug on the mine sludge nor what their intentions were. To be fair, the Governor has declared the disaster to be “in every sense, unacceptable” and then in a bit of political theater he drank water from the Animas. The Wall Street Journal opinion page took this disaster up a few days with a clever Ghostbusters spin. 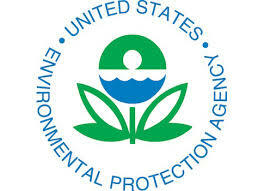 What is most troubling to me is that the EPA has been empowered like never before under the current administration, even to the point of crossing the line and being rebuked by the Supreme Court a few times. At the intersection of growing bureaucratic power, incompetence, and lack of accountability lies disaster – witness the Animas River destruction at the hands of the very agency charged with protecting it. The crux of the issue is our irrational faith and trust in the competency and altruism of government agencies juxtaposed with an equally irrational distrust of profit-seeking private enterprise. Why? The incentives of government bureaucracies are so screwed up that accountability does not exist. Who has been held accountable for the debacle at VA Hospitals? For the politicization of the IRS? On the other hand, BP paid dearly for its sins, primarily from its own coffers as a largely self-insured corporation, and BP’s CEO resigned. Who will pay for the Animas River disaster? I’m guessing you and me… the taxpayers. So let me get this straight. EPA Director McCarthy has a high paying government job with what I’m sure is a generous pension. Her agency is actually responsible for destroying what it is charged to protect, and who will bear the burden of the damage done by Ms. McCarthy’s incompetent agency? The same people paying for her salary, benefits, and pension. The worst possible outcome for Ms. McCarthy is that she may eventually have to escalate her apology to a resignation (though I’m not betting on it) and move on to collecting her pension without having to deal with those messy politics anymore. Maybe she and Lois Lerner can share a beach somewhere. What a great gig. Now, tell me again why do we have so much faith in government? This entry was posted in government, politics and tagged Animas River, environment, EPA, Gina McCarthy on August 14, 2015 by drdavidallenbrown.